Presta Drilling Eyelet. A very high quality rim in the 349 size, with ABT (advance brake track) machined sidewall, with eyelets, drill valve to schraeder if needed. Overall width 22.4mm, inner well width 17mm. hi can i use this for brompton rear wheel and also isit kojak friendly ? This will work absolutely fine as a wheel for a Brompton, And Kojak tyres should go on there absolutely fine. Is this rim okay to take a 25 MM. Wide tyre.? Although we definitely would not recommend anything narrower you should be fine to fit a set of 25mm tyres to these rims. 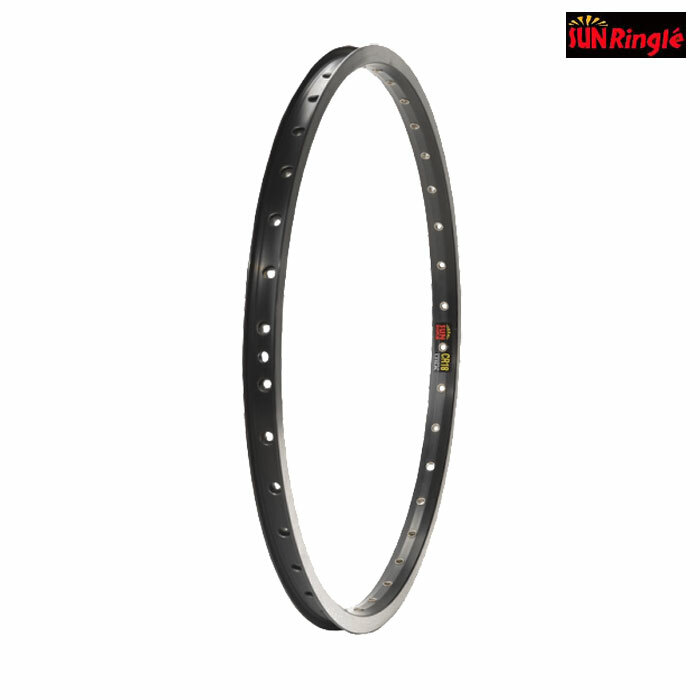 What Is The Suitable Tape For Rim Sun Cr18 16 X 1 3/8 349 Abt Alloy Rim 36 Hole? I would like to know the best choice for the protection tape for the rim Sun CR18 16 x 1 3/8 , 349 ABT Alloy Rim - Black - 36 Hole. I have seen that there are differences in widths and circunferences between th Jtekt or Bromptons, and I would like to know what is the best option. I would also like to acquire the right spokes to be mounted with the ICLETTA 36 holes HUB. Could you help me finding out the right length of spokes? Thank you in advanced for your help and support. The best tape for this rim is the Jtek, SJSC part 38109. Unfortunately without having the hub here it is impossible for us to calculate the spoke length you need. However the rim ERD is 340mm if you wanted to measure the hub yourself and calculate the spoke length using an online spoke calculator.